Arduino IDE, you need the Arduino ESPNOW extension. Firmware is "espnow_6050". Esp8266, mpu6050, four 0xF5 esc with 128kbaud. Flies like a wet sponge. You have been warned. The attached firmware is just for illustration, not finished in any way, but i have flown it sucessfully. It should be possible to use normal ESC instead of serial by using analogwrite(). ACC needs to be calibrated by entering "A" in the serial console. Copter must be level during calibration. Values are stored. The transmitter is a simple PPM (ppmsum) to EspNOW converter. Transmitter firmware is "espnow_rc". I do have a version for normal ESC, untested. 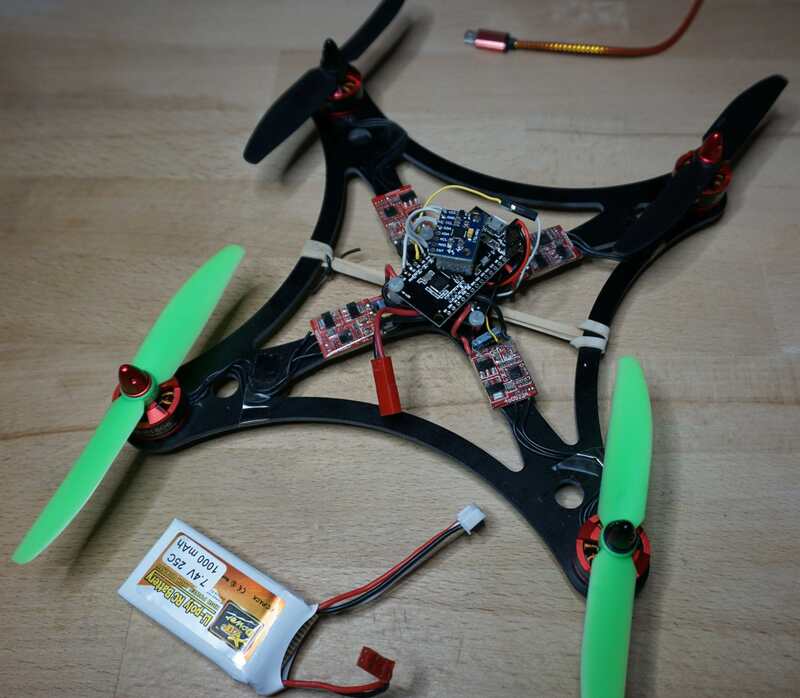 Searching for experienced copterpilots / builders / esp8266 users for test.